Climate data: Lamar Smith and adjusting scientific data. 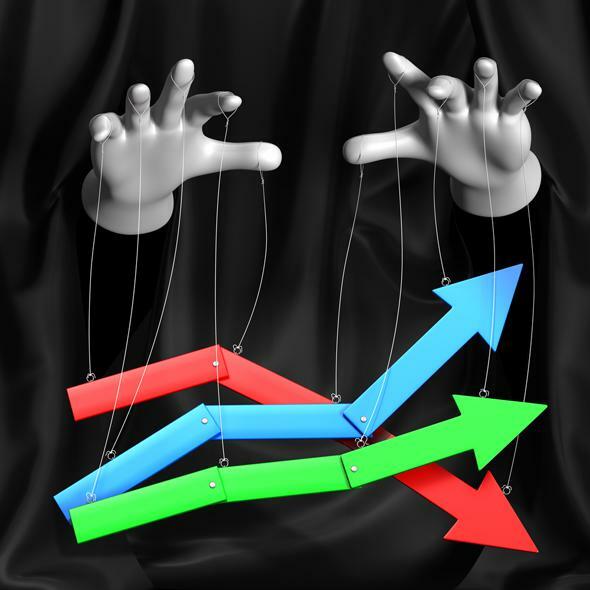 Are Climate Scientists Fiddling With Temperature Data? This isn’t exactly how scence works. Congress, maybe, but not science. Part 3 of what looks to be a never-ending series … at least, we can hope, until the November 2016 election. A couple of weeks ago, I wrote about an atrocious abuse of power being flailed about by Rep. Lamar Smith, R-Texas, the chairman of the House Committee on Science, Space, and Technology. He is a global warming denier—it appears he thinks it’s a hoax, part of a conspiracy involving the White House and various science agencies. He’s so twisted up about it that he’s issued a subpoena to the National Oceanic and Atmospheric Association demanding it turn over data, emails, and more to Congress for inspection (never mind that the data and methodology are public already). Days later he doubled down on his nonsense, issuing a statement literally accusing NOAA of “altering the data,” in an effort “to advance this administration’s extreme climate change agenda”. This is, quite simply, a strong-arm intimidation tactic. And it’s not just me who’s upset about it; Rep. Eddie Bernice Johnson, D-Texas, sent a severely reprimanding letter to Smith, and the American Meteorological Society also sent a letter to Smith about this. * NOAA, unsurprisingly, was none too happy about it either. This kind of conspiracy ideation by Smith is generally seen on poorly edited YouTube videos about lizard people and the Illuminati. Thought processes like this hang in a far less flattering manner on a member of Congress. In the second post, I mentioned that in fact scientists do have to adjust measured data on occasion. In general it’s to fix measurement bias (for example, if you want to measure atmospheric temperatures, thermometers located near hot parking lots will read hotter than ones out in open fields of grass, and this needs to be accounted for) or to get measurements made using different devices on an even playing field. Scientists have different names for this sort of thing depending on the specific technique: calibration, normalizing, homogenizing, debiasing, and so on. Smith calls it “altering.” I’ve also heard other science deniers use terms like manipulating. These have obviously negative connotations, implicitly accusing the scientists of nefarious practices. But what’s really going on? How are scientists adjusting the data? Kevin Cowtan is a chemist at the University of York and is very interested in problems in climate science that are relevant to the public. He also knows quite a bit about the sorts of adjustments that need to be made in data in order to properly analyze them; some time ago I wrote about his work that shows, when the data are accurately homogenized, that the global “warming pause” doesn’t exist. Cowtan has put together a lovely series of pages showing just why scientists do this in the case of climate data, why it’s needed, how they do it, and what the results show. If you don’t adjust the temperatures (orange line) then in the past the surface temperatures were too low. The adjusted measurements (green) is the most accurate. But look what happens in the more recent era: nothing. 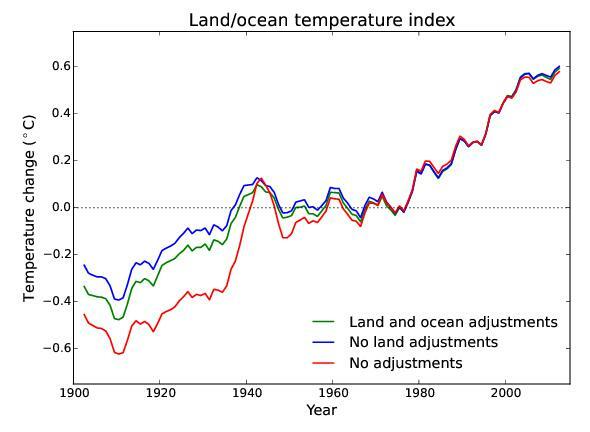 The adjusted and nonadjusted data are in very tight agreement, and both show the same thing: The globe is warming. In fact, using various methods, Cowtan shows that in one set of data there is a fairly even balance between temperature measurements being adjusted upward as downward—there is a very slight excess of upward adjustments over downward, but he also shows this is not due to any bias. If scientists were trying to make the world look hotter, the adjustments would obviously trend hotter. They don’t. In the interest of full transparency, Cowtan even provides the data and the code he used so anyone can try it for themselves. Pretty nefarious, huh? Yeah. This is what Rep. Smith is basing his conspiracy on, this is what he thinks is part of a global cabal of scientists bent on, well, bent on something. It’s not really clear why any scientist would fake the data. It ain’t money. Fossil fuel interests pay way better than universities do. Just ask, oh, say, the GOP. Smith has done pretty well for himself with fossil fuel money, too. But here’s the key point: In my opinion, Lamar Smith doesn’t care why the changes were actually made. He made that point extremely clear when he jumped right to conspiracy theories. He could’ve asked any number of scientists—hundreds of them, quite literally—why those changes were made. Heck, he could’ve Googled it! Instead, he subpoenaed NOAA, doubled down on his conspiracy ideations, and issued a press release making it all very public in a colossal waste of time and money. Smith’s game here, as I see it, is to make the science look bad, make the scientists look bad, by floating rumor-mongering accusations that will tend to stick in the minds of voters. This is what deniers do. They don’t have facts on their side, they don’t have data on their side, they don’t have science or reality on their side. That means all they can do is distract, sow doubt, and smear. It’s disgusting, but it’s what’s going on. What makes it far worse is that a Congress member is the one doing it. Tip o’ the normalization constant to climate scientist Gavin Schmidt. *Correction, Nov. 5, 2015: This post originally misidentified Rep. Eddie Bernice Johnson as Eddie Bernice Johnston.